Mercury Gray exterior and Light Gray interior, ES trim. iPod/MP3 Input, CD Player. EPA 42 MPG Hwy/35 MPG City! READ MORE! iPod/MP3 Input, CD Player. Mitsubishi ES with Mercury Gray exterior and Light Gray interior features a 3 Cylinder Engine with 78 HP at 6000 RPM*. MP3 Player, Keyless Entry, Child Safety Locks, Electronic Stability Control, Bucket Seats. 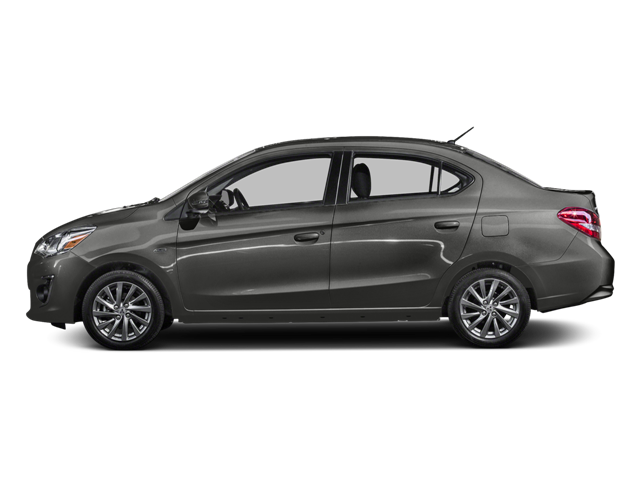 KBB.com explains "The 2017 Mitsubishi Mirage sedan and hatchback offer a comfortable highway ride for such a small car, and the brakes bring the low-mass sedan to a stop quickly, and with a firm pedal.". Hello, I would like more information about the 2017 Mitsubishi Mirage G4, stock# MI8157. Hello, I would like to see more pictures of the 2017 Mitsubishi Mirage G4, stock# MI8157.